Minxy received lots of beautifully coloured yarn at Christmas so we decided to use some for a themed craft activity while it was wet at the weekend. Valentine's Day is just around the corner and these cute and lovable pom poms are actually really simple to create - we made some as key rings and bag accessories too. Wrap your yarn around a fork, approx 20-40 times, depending upon the finish you require. 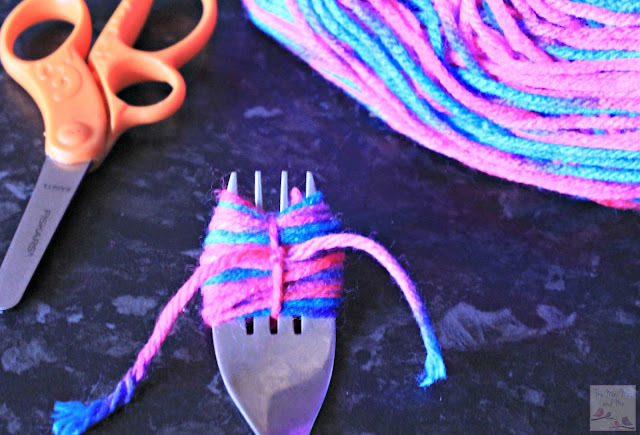 Ensure you leave a small gap between the yarn and the base of the fork. Slide the yarn off the fork. Get your scissors and slip them into the loops of yarn that have been created. 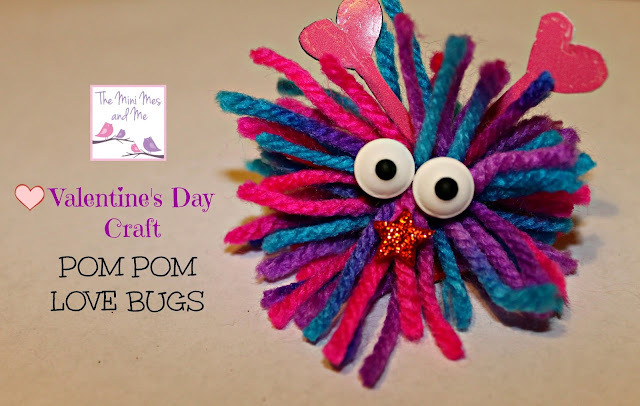 Have you made any crafts with the kids for Valentine's Day? Great idea! We love making pom poms! These are adorable and perfect for valentines. These look perfect for making with the kids during half term. will try these with the children. 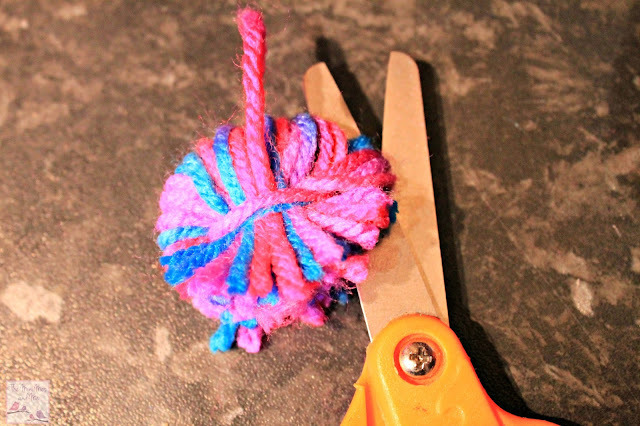 would have never thought of making a pom pom with a fork. 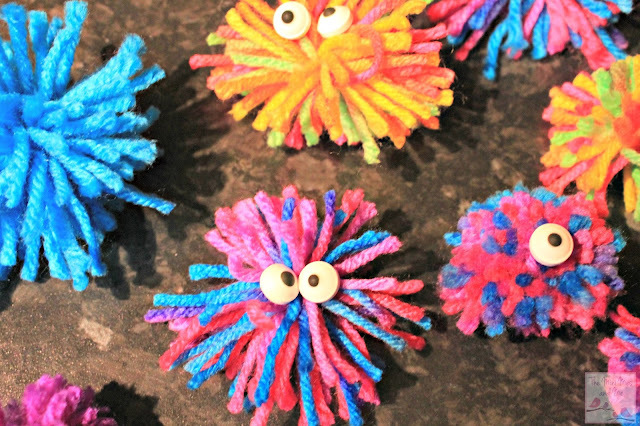 I used to love making pom-poms, we used to make them look like The Flumps! such a lovely idea! Making these also helps little kids with co-ordination. fab for using up oddments of yarn in my stash. Love the fork template idea!! My wife bought a set of plastic pompom making rings very cheaply which are very good. I remember as a child making them with a couple of card discs! Great thing to get kids making pom poms on a wet half term! I need to make one. What fun! And it made me smile. Thank you. Cute idea, would make for good birthday cards too. Kids would love making this, cute! 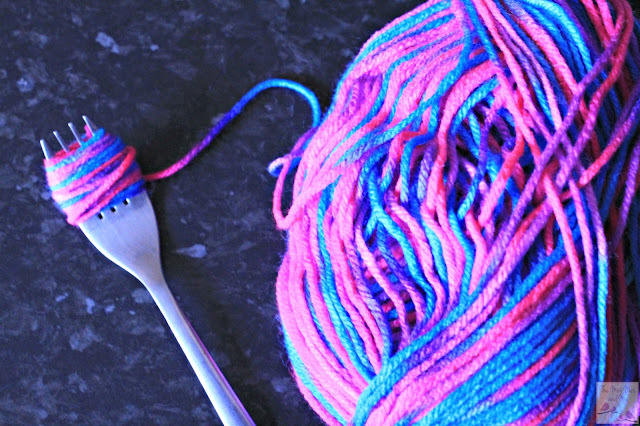 Used to love making PomPoms! Going to have to start with my grandkids & make these.